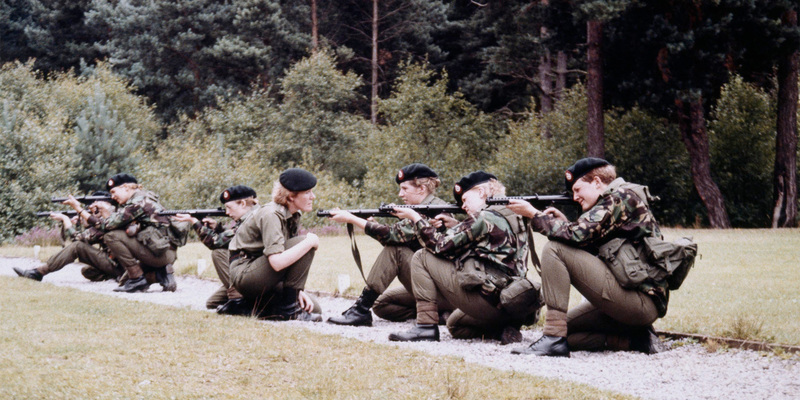 Explore the changing role of women in the British Army through the lens of the Women's Royal Army Corps (WRAC). Marking the 70th anniversary of the formation of the WRAC, this exhibition highlights the changing roles of women in the British Army. Society's view of women influenced their integration into the Army. But what was initially a temporary solution soon evolved into a permanent unit of female soldiers. This exhibition will explore how attitudes towards 'appropriate' roles for women affected the contributions they were able to make. It will show how women used the Army to help break these moulds. Using documents and objects from the collections of the WRAC Association and the National Army Museum, it will reveal the major contribution women have made to the Army's history. The WRAC Association encompasses the QMAAC Old Comrades Association, which was formed 100 years ago in 1919. It includes former members of the WAAC, QMAAC, ATS and the WRAC, as well as women serving in the Army today. While it is primarily a way of maintaining contact and comradeship between members, it also helps members in difficult circumstances through its benevolent fund. As the entire nation mobilised for the First World War, women stepped up to new challenges.